Malawi faith groups, with technical and financial support from the USAID-funded Health Policy Plus (HP+) project, are taking the lead in campaigning for Malawi’s population growth management. Malawi’s population is projected to reach over 42 million by 2050 if the current average of about four children per woman prevails. As Malawi’s population is rapidly increasing, the impact will be felt across diverse development sectors—requiring a multisectoral response to address the rapid population growth. One response is to engage faith groups in disseminating messages on the link between family planning, population dynamics, and development. With 97% of Malawi’s population made up of religious followers, religious leaders are a vital tool for population advocacy. Through six religious bodies (the Malawi Council of Churches, Episcopal Conference of Malawi, Evangelical Association of Malawi, Muslim Association of Malawi, Quadria Muslim Association of Malawi, and the Seventh Day Adventist), Malawi’s religious leaders have partnered with the government through HP+ to advocate to their congregations on population growth management and family planning. As reflected in an article in the Nyasa Times, religious leaders have readily available audiences through their congregations and are utilizing the opportunity to educate the masses about the benefits of family planning to individuals, families, communities and the country as a whole. This can significantly contribute to changing social norms around family planning and childbearing. Nkhotakota is one of the districts that has experienced a sharp rise in population growth due to an increase in teenage pregnancies and early marriage, with an adolescent birthrate estimated at 23.8 percent. Currently, Nkhotakota is benefitting from an intervention with Muslim faith-based organizations on population management, supported by HP+. These faith groups are implementing population advocacy activities among Muslim communities under a project called “Enhancing Muslim Community Response on Family Planning and Population,” which works with traditional authorities in Malengachanzi and Mphonde. Through community dialogues, the Muslim Association of Malawi and Quadria Muslim Association of Malawi have managed to gain the support of community leaders, including 10 religious leaders, 10 traditional leaders such as group village headmen, and 10 influential leaders, who are championing messages on modern family planning methods within their respective communities. Brother Ousmane Chunga of the Quadria Muslim Association of Malawi said messages about family planning and population are spread at Islamic gatherings through choirs, dramas, and sermons at the district and community level. Muslim women groups in Nkhotakota are also benefitting from this project. Over 30 Muslim women Dawah leaders are being trained on population messaging and modern family planning methods. These women will create demand among their groups by cascading this information down to their members through monthly Dawah gatherings. In a similar approach to population advocacy, the Evangelical Association of Malawi is implementing a project called “Encourage Responsible Parenthood” in Nsanje and Dowa districts, which focuses on building the capacity of church leaders to increase access to and demand for modern family planning methods. The religious leaders equip young people with knowledge and empower them to make responsible sexual and reproductive health choices, access youth-friendly health services, and transform societal attitudes and practices to address population growth and development. 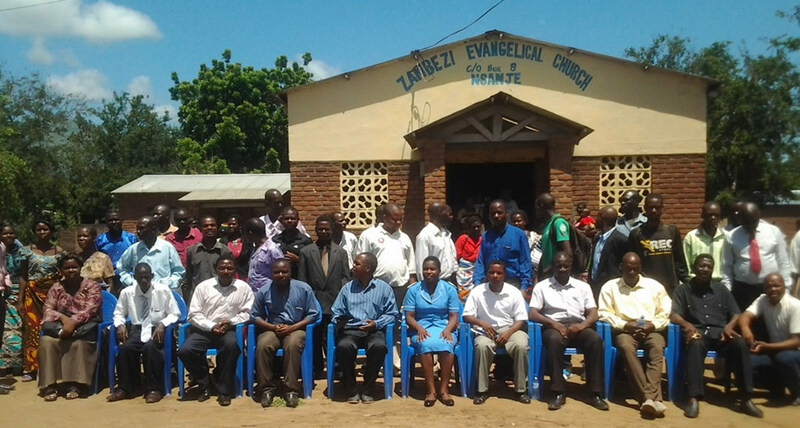 From March to April 2017, the Evangelical Association of Malawi reached out to about 280 religious leaders from its member churches and organizations through capacity-building regional meetings. Representatives were trained on how to effectively disseminate sexual and reproductive health information in the context of Biblical scriptures to congregants in their respective catchment areas. On March 12, 2017, 87 Evangelical churches in Nsanje participated in a “Population Sunday” worship, in which pastors addressed practical experiences with population and family planning in Nsanje and the rest of the world. The Evangelical association is also involving youth themselves by training them on sexual and reproductive health, including family planning. Currently, youth are facilitating dialogue on issues of youth-friendly health services and family planning among young people in the church and community, reaching over 2,500. Championing messages on population management among Catholic communities is the Episcopal Conference of Malawi (an assembly of the Catholic Bishops comprising the eight dioceses), which is tackling the issue from the angle of responsible parenthood and the importance of natural family planning. Currently, the Episcopal Conference of Malawi is implementing a project that advocates for responsible parenthood through its social communications and research on general health advocacy. At a recent advocacy workshop for Communications Secretaries and Youth Chaplains on population management, the Secretary General for the Episcopal Conference of Malawi, Reverend Father Henry Saindi expressed the need for responsible parenthood and proper guidance, especially for young people, as a way of managing population which is growing at an alarming rate. The meeting, among others, was one of the initiatives that the Episcopal Conference of Malawi began implementing in February with funding from HP+. With this funding, the Episcopal Conference of Malawi also worked with 25 young people to develop advocacy messages, which have been used in plays and video clips. Religious leaders are committed to conveying accurate and appropriate information and skills to their communities and congregations. The success of these interventions, led by religious leaders with support from HP+, demonstrate that when information on family planning, population dynamics, and development is delivered by religious leaders and institutions, it can shift attitudes and contribute toward addressing and managing Malawi’s rapid population growth.